Listen to "Nine Perfect Strangers" on your iOS and Android device. 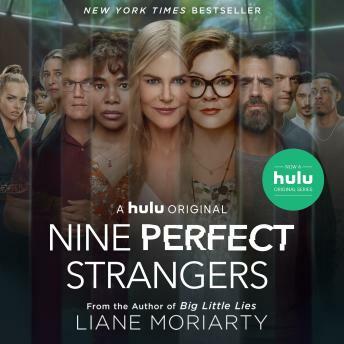 Combining all of the hallmarks that have made her audiobooks a go-to for any listener looking for wickedly smart, unpausable fiction that will make you laugh and gasp, Liane Moriarty's Nine Perfect Strangers once again shows why she is a master of her craft. I love all her other books. This was not a favorite for me. I found the narrator very hard to listen to, and rather annoying. I find the narration extremely distracting. The inflections and long pauses occur in inappropriate places and it sounds as if she's reading the book for the first time. It's so annoying that I can't finish this book and am very disappointed. Too slow and no suspense. A lot of character development and too little plot. Disappointed in this book. I was disappointed. I’ve read all Liane\'s books and didn’t like this book. Too far out there and not at all practical. Some foreshadowing but still had no idea what was coming for the ever elusive *twist*. Was genuinely surprised and excited to hear what happened next. A few cliches but overall enjoyed the story. Narrator was great except the voice for Marsha was a little annoying at times and seemed inaccurate. The narration makes it very difficult for me to finish the book. Very disappointing. I loved other books by this author but hated this one. I found the characters not likable, the premise unbelievable and silly and the chapters confusing. The narrator is AWFUL! Her voice is grating and her inflection is odd. She attempts many accents and fails miserably. This is the first narrator I have not liked.